Why is Everyone Dumping Buckets of Ice Water on their Heads? I’m sure, by now, you’ve seen the videos of various people, celebrities and athletes dousing themselves in ice water. Believe it or not, there are people that think these are merely cute viral videos of people challenging others to get chilly after soaking themselves. The Ice Bucket Challenge has gone viral to raise awareness for amyotrophic lateral sclerosis (ALS), more commonly known as Lou Gehrig’s disease, which is a terminal motor neurone disease. It is a rare disease but, still, every 90 minutes someone dies from it. It’s a horrifying disease. In short, the ability of the brain to send signals to the muscles is compromised… resulting in muscle death. The disease takes it’s victim between 2-5 years post diagnosis. 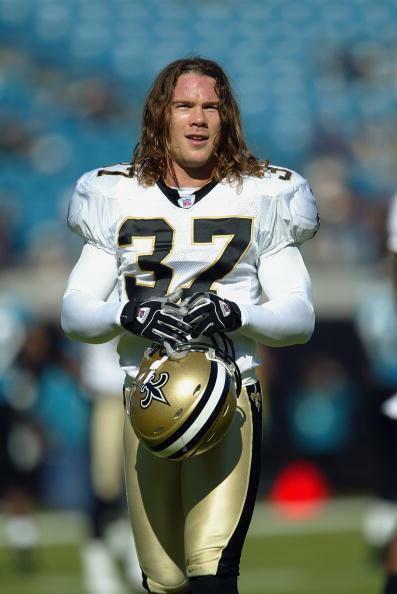 … five years after that play, Gleason was diagnosed with ALS. The last few years, I’ve been following Gleason (@TeamGleason), former Saints & Browns LB Scott Fujita (@sfujita55) and current Saints QB Drew Brees (@drewbrees) as they tried so hard to raise awareness and money for AlS research. It really appeared to be a grassroots campaign, gaining little traction. Some strides to raise awareness were made when ESPN aired this segment last year featuring Gleason and the members of Pearl Jam. … touching, to say the least. Well here’s some great news communicated by the ALS Association today: From July 29th to August 17th last year, $1.7 million was donated. This year, thanks to the Ice Bucket Challenge, $13.3 million has been donated; that includes 259,000 NEW donors! Thankfully, it’s only a minority who believe all these videos are just a cute fad to get cold and wet and challenge your friends to do the same, without knowing why. Hopefully, the influx of donations this year goes to the right places to maybe figure this evil disease out. Please go to Steve Gleason’s website HERE or the ALS Association link above to donate.